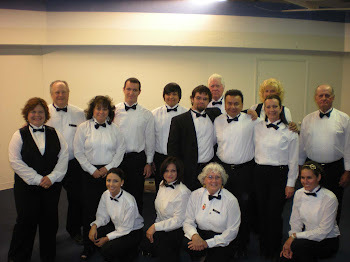 A casino party can be a great idea for any individual or company planning an event. Different types of casino events include bachelor/bachelorette parties, birthdays, poker tournaments, corporate events, graduation parties, reunions, and more. 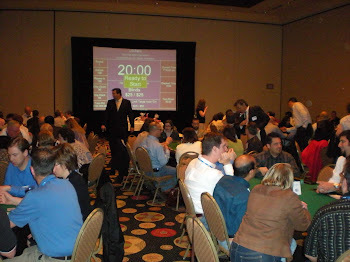 Finding a casino party planner who specializes in fun casino events in your area does not have to be a discouraging task. In most large metropolitan areas across North America, you will find several companies who specialize in casino entertainment. There are a few key questions you should ask potential casino party companies. If you don't receive satisfactory answers, beware! All casino party companies are not equal and reputable, good quality companies will be happy to answer all your questions. 1. Does the company offer a wide selection of casino games such as blackjack, roulette, craps, poker, pai gow etc..? 2. Is the equipment comparable to what you would see at the casino? 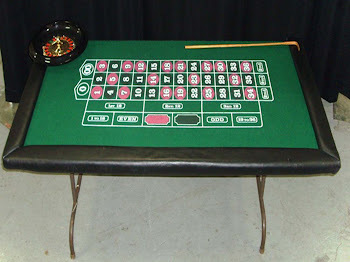 The casino game tables and accessories should not resemble home edition models that you can buy on Ebay for the same cost of renting them. You want your guests to feel like they are in a real casino! Ask for pictures from actual casino events. Many companies use stock pictures of casino equipment on their websites. If they had quality equipment why not show it off? 5. How long have you been in business and how many parties do you stage each year? Finally, what other party services does the casino party company offer? 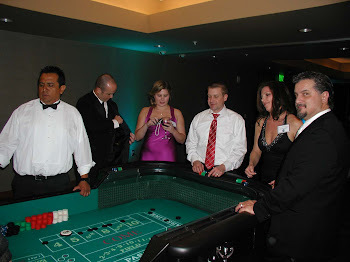 A good casino event planning company may offer many additional party services that will compliment your event. This can save you time and money if you are able to get a full-service, quality package from one provider. Ask the casino event planner about extra services such as dress themes, food and drink servers, background music or DJ's, event planning consultation, lighting, additional entertainment, and more.